Fighterspirit came up to meet her apprentice. Bramblethorn and Greynight walked up. Flowerpaw met Greynight with a touch of the nose. Berrypaw met his mentor with a respectful lick on the shoulder. Snatchpaw met his mentor with a respectful flick of the tail. Greynight touched noses with his apprentice. Warstar flicked her tail, a sign that the meeting was over. Nightpelt went to his den. Flowerpaw yawned loudly and ran into the apprentices den with her brothers. Smallheart and Jadestep went into the warriors den with Brightheart and Bearstep. Warstar flicked her ears at GreyNight and went into her den. GreyNight nodded and went to her. WarStar set her bloody red gaze on GreyNight Do you know what you must do? she asked quietly. GreyNight nodded Yes, WarStar, I will find them. he meowed and trotted off. Fighterspirit nodded as GreyNight came up to her and whispered something in her ear Yes she spoke quietly. Smallheart snored quietly in her sleep. Figherspirit went to her brother and whispered the message in his ear. Bramblethorn nodded and passed the message on to Smallheart Only three will burn the fire in the forest to save us he whispered in her ear. Warstar watched as the prophesy went around. Smallheart told the news to Jadestep. Jadestep told it to her parents. Jadestep began to groom her fur. Jadestep looked up. Who all is going? She mewed. Bearstep and Brightheart got up. Jadestep and Smallheart stood up. GreyNight went over to WarStar and stood on one side of her. Nightpelt took in the back. Fighterspirit went in the back of here mother. Bramblethorn winked to Smallheart and took on one side of Warstar. Smallheart purred and trotted over. Smallheart purred and licked him back. Darkkit, Firekit, and Cherrykit went into the nursery and stayed warm. Smallheart looked back. Why are Amberpelt and Forestfire's kits in the nursery? She asked quietly to Bramblethorn. 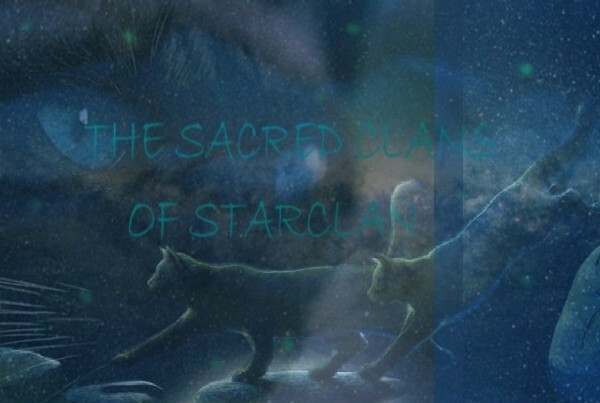 Bramblethorn looked at the little kits and walked over to them Why aren't you in SnowClan, young ones? he asked. Darkkit gaurded her brother and sister Because, we ran off, she weren't accepted in SnowClan the way we were, we want to stay here.